Over the Rainbow: And now......back to Scrapping! I love that bracket layout! Fantastic layouts! I actually did create a layout with one of my all time favorite songs...a song that is special to my hubby and me. "Amazed" by Lonestar. I want to do a layout about "The Police's song Every Breath you take". Hubby and I listened to that song over and over. Wonderful layouts! Sunflower just arrived in my kit. I have to say, so far I prefer it to the Lemon GM I have. I just have to get onto using it. oh, keshet. i love them all! but, if i have to pick a fav, it would be the last one. love that monochromatic look! fab, darling! Looks like you've been getting some good scrap time in. I love them all but especially the first and last one. oh you've been busy! The layouts are all beautiful, and you've convinced me on that cornflower mist! Way to go K!!!!!!! Very pretty pages! Love your joyland one esp. Beautiful LO! 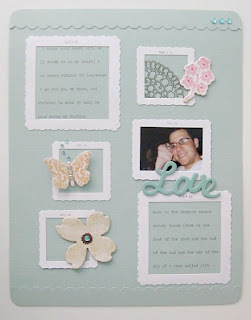 Love your projects - very pretty! burden about the financial health associated with a individual.